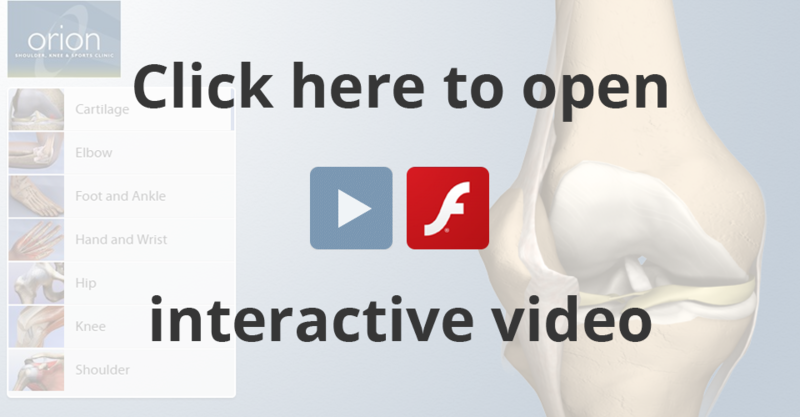 The kneecap (patella) lies at the front of the knee joint. It lies within a shallow V shaped groove over the femur known as the trochlea. Problems in the patellofemoral joint often result in anterior knee pain. Those patients complain of difficulty in walking up and downstairs, kneeling and squatting. The patella can be acutely dislocated from its shallow groove as a result of trauma resulting in a traumatic dislocation of the patella. Acute dislocations can often be treated non-operatively in a protective knee brace or a cylinder plaster for approximately 6 weeks. If non operative measures fail and if the kneecap continues to dislocate then this results in recurrent instability of the patella, which may require surgical stabilisation. The patellofemoral articular cartilage wear results in a significant anterior knee pain and if non operative measures fail then surgical treatment may be required in the form of an arthroscopy, lateral release or in end stage disease may require patellofemoral joint replacement surgery.